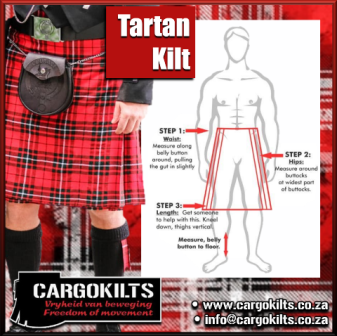 Kilts and Scottish attire are made to measure, thus resulting in the perfect fit. We have instructions on how to do this, but ideally we welcome you to visit our showroom in Springs, South Africa, for a personal fitting. We understand that this is not always possible, so do call us and we will guide you through the process. 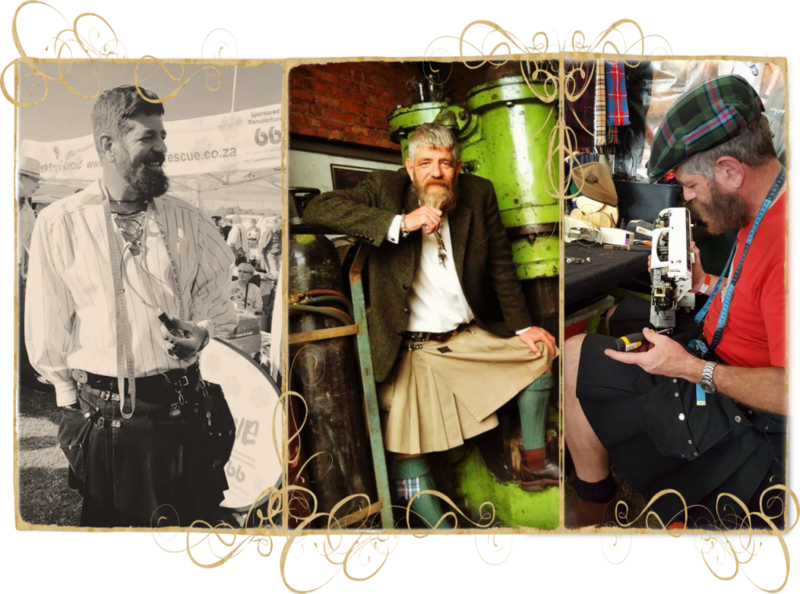 It was only years later, in 2010 that the hobby became a business and we started to work in Tartan. 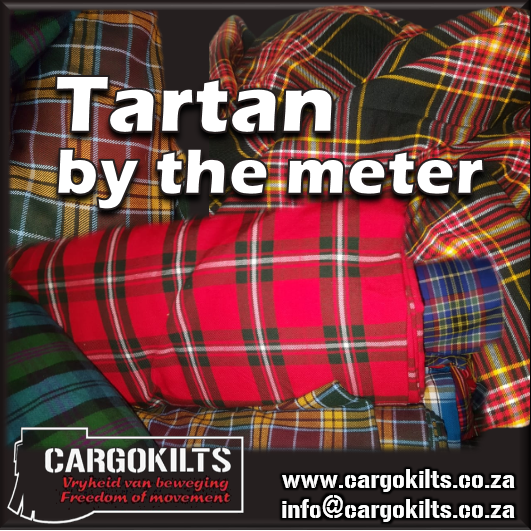 We now weave, stock and build Kilts and other Tartan items in over 100 different Tartans. Our set-up is such that we can easily weave 100m of a bespoke tartan. We also offer a tartan design and registration service. 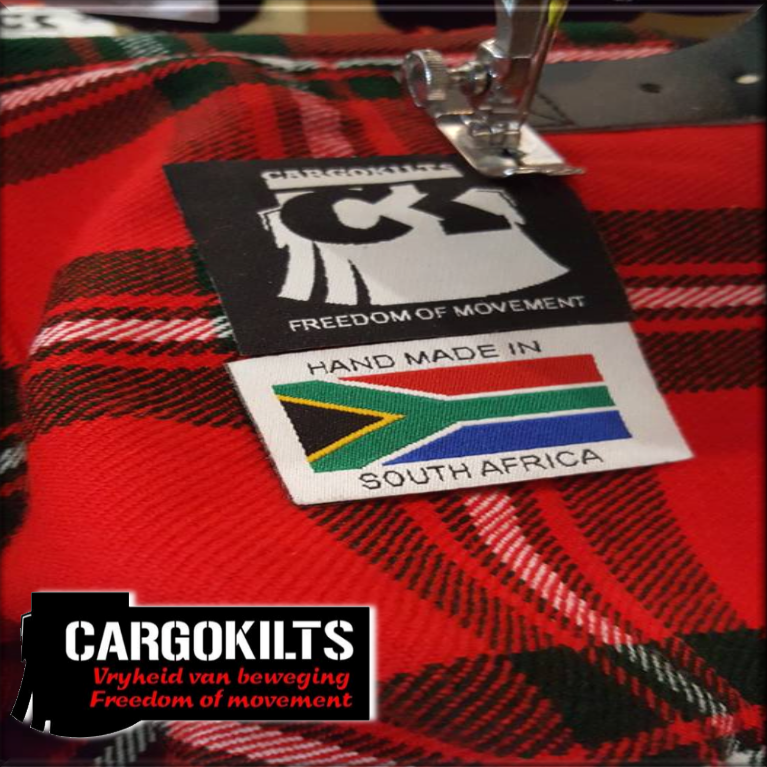 Your kilt will come at a very reasonable price, when you consider that it is created using only the finest traditional loom woven tartan, or, in the case of Cargo (or utility kilts,) tough as nails Bull Denim. We carefully select those who supply our buckles, studs and leather, sifting out unreasonable expenses without compromising quality, and supporting those who share our views.